Smartphones have always been a symbol of technological progress, but, just as we begin to think we can’t advance beyond the current state, something else happens to change our thinking. Voice command/dictation has been a large indication of just where smartphones are headed in the future, and Pebble, a smartwatch manufacturer that seems to have a massive popularity in the smartwatch arena, wants to take on the other smartwatch giants (Google with Android Wear, Samsung with Tizen, Apple with WatchOS) with the extension of its current dictation API by releasing it to third-party app developers. On Thursday, October 15th, Nuance and Pebble announced their new partnership with Pebble for the company’s current Pebble Time and Pebble Time Steel smartwatches. “Voice opens up a world of possibility for wearable devices – in seconds, messages dictated by voice are sent right from the wrist with just a touch of a button. By opening the Dictation API to Pebble developers, more experiences will be delivered and consumers will be able to connect without having to look down at their device,” said Nuance Mobile Device VP Scott Taylor. 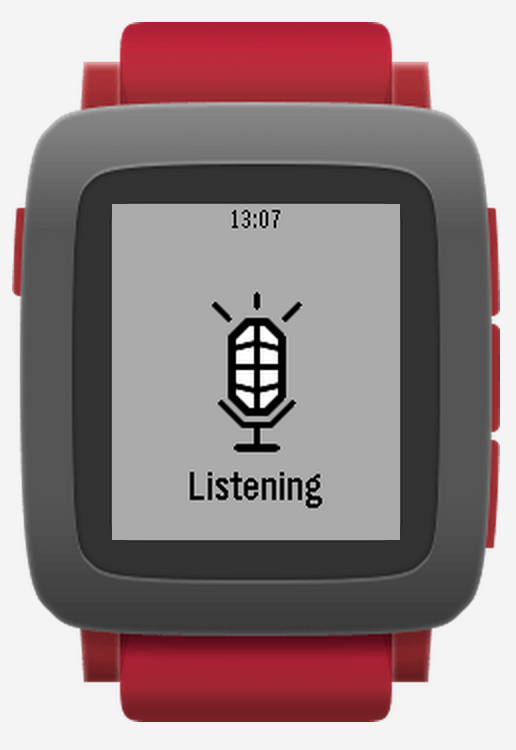 There are some current functions of the Pebble smartwatch experience that involve the use of the Dictation API, which will now operate by way of Nuance’s dictation technology, but not all. What has made Pebble successful as a smartwatch manufacturer is its cross-platform smartwatch compatibility: whether using an Android OS or iOS device, most consumers will find their new Pebble smartwatch integrates well with either platform. Now, however, responding to texts and messages from the wrist will allow Pebble smartwatch owners to keep up with the rest of the wrist-wearing world. Nuance and Pebble intend to bring voice dictation to the Pebble Time Round as well, but this feature will not arrive until Sunday, November 8th. 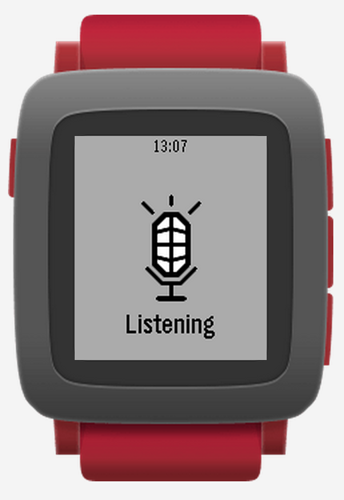 It will be interesting to see what developers create with voice dictation for Pebble smartwatches, but it will also be interesting to see what Pebble users do with it. With Pebble’s interest in deeper voice integration, it’s becoming clear that voice command/dictation is the next big thing in the wearable space. Pebble isn’t the first to tap into Nuance for voice dictation: Samsung has also partnered with Nuance to create a PowerMic app for its Tizen OS-powered Gear S that allows physicians to record medication orders, vital signs, and interact with patients and gather needed medical information within minutes by way of a virtual assistant called Florence.